You are at:Home»iPhone»Settings»How Do I Change The Name Of My iPhone? Your iPhone is your constant companion, and your lifeline to the virtual world (not to mention a sleek piece of pocket candy). No wonder you want the name of your iPhone to be as unique as you are. Here, I’ll show you how to change the name of your iPhone without opening iTunes. 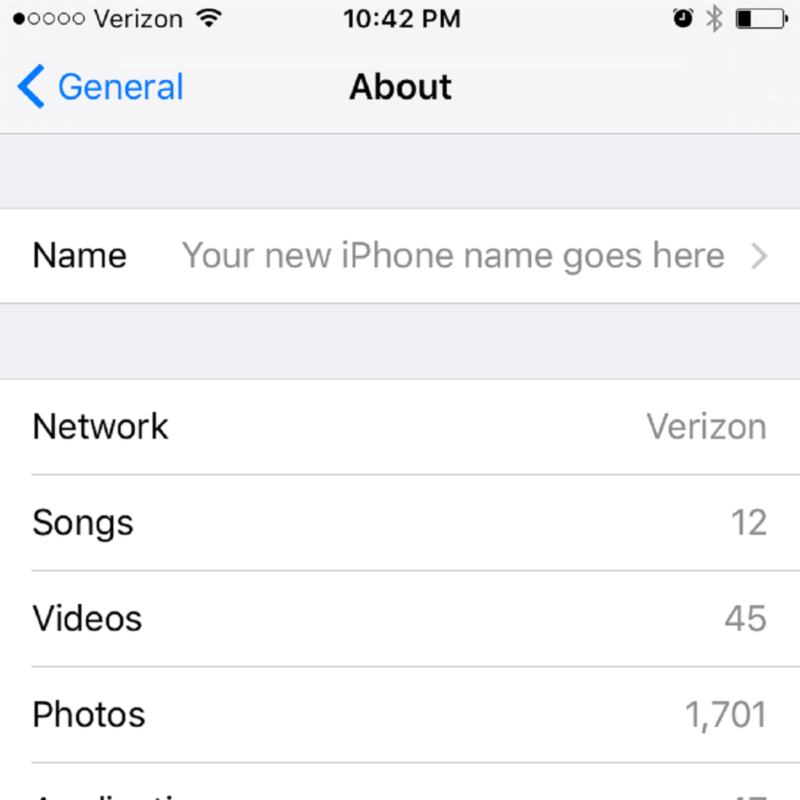 How Do I Change The Name Of My iPhone Without iTunes? 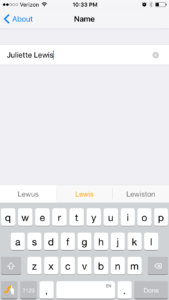 Tap inside the text box where your current iPhone name appears. Tap the X on the right side of the text box to delete your current iPhone name. Enter your new iPhone name, and then tap Done in the bottom left-hand corner of the keyboard. That’s It: iPhone Name Changed! 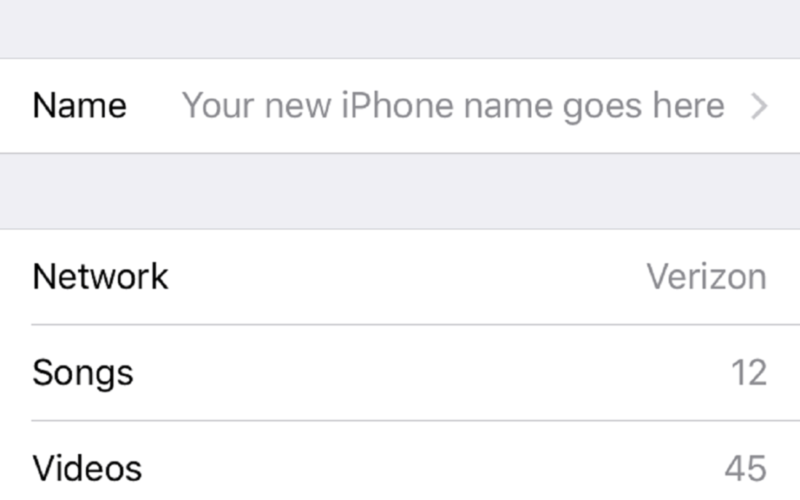 You’ve personalized your iPhone’s name, and now it should show up in the About menu, AirDrop, and iTunes on your computer. You can change the name of your iPhone as many times as you need to, so don’t be afraid to get creative! Previous ArticleHow Do I Turn On Battery Percentage On My iPhone? Next Article My iPhone Apps Won’t Update! Here’s the Fix.